other areas of the city. Federation is about 3000 doctors. born or grew up in this one building at 47 Mott St.
of the past, the road ahead should be bright. 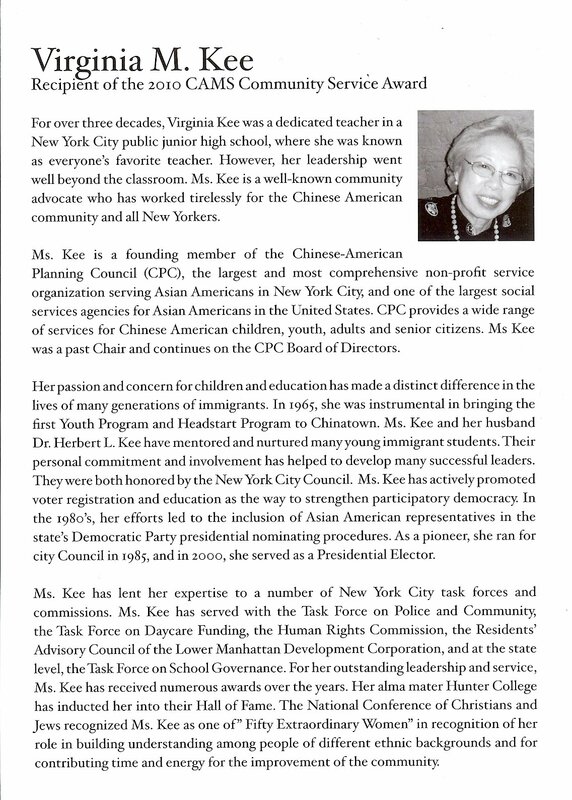 *In 2010, CAMS honored 2 people who were born and raised in Chinatown. 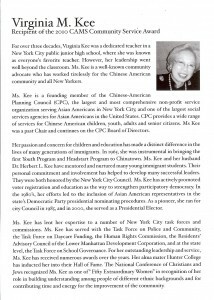 for her impressive record of service to the Chinese American community. 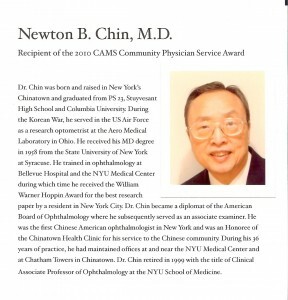 As a mentor to two of New York’s most prominent ophthalmologists, Drs. video of a portion of the Gala presentation at Cipriani Wall Street). 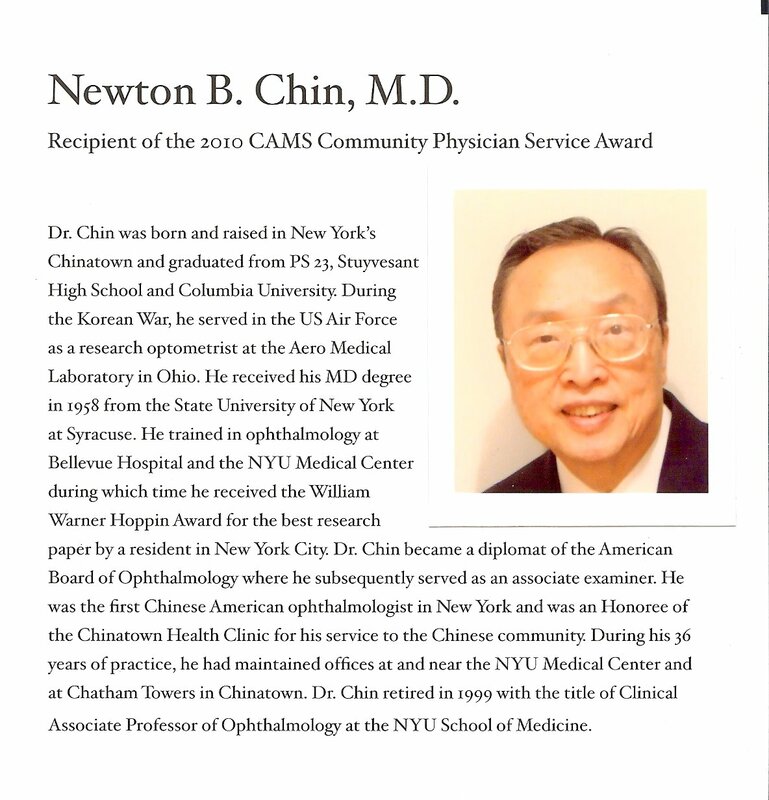 Newton Chin from CAMS 2010 Gala Journal. L to R: Drs. 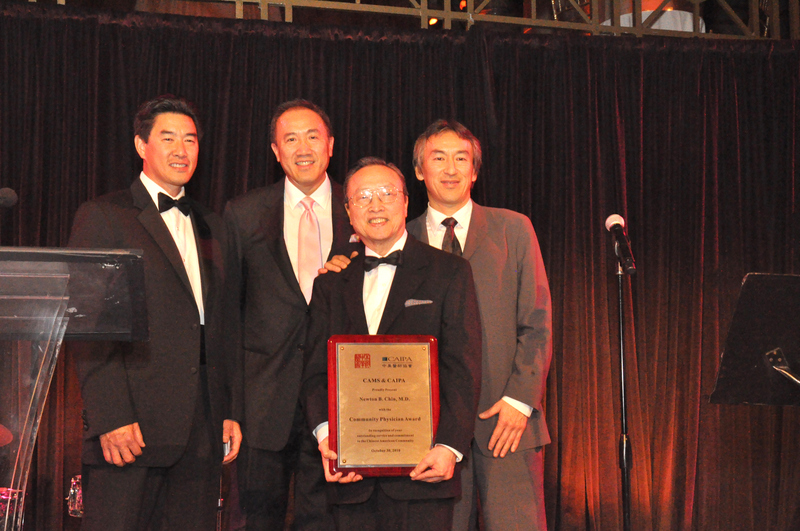 Benjamin Peng, Raymond Fong, Newton Chin & Wilson Ko, is from the CAMS Newsletter Dec 2010.